Filipino-Canadians lined up before sunrise to attend the 7 a.m. grand opening of a famous fast-food restaurant chain’s first Ontario location. 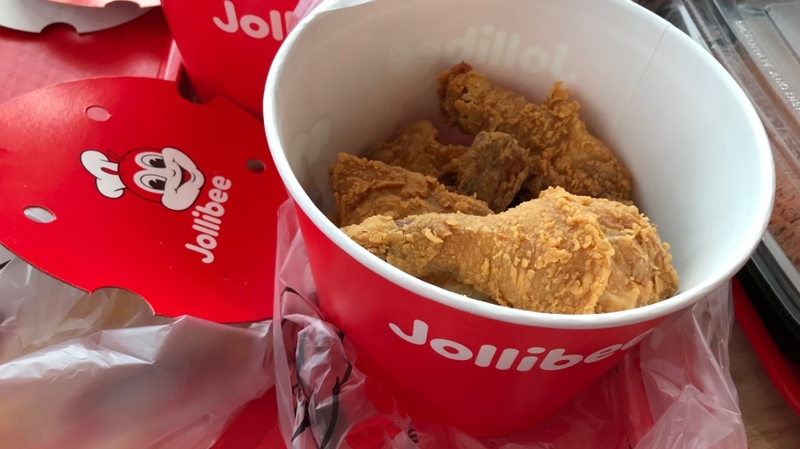 Manila-based Jollibee is famous for items like fried chicken, pineapple-topped burgers, peach-mango pies and sweet-tasting spaghetti. It has roughly 1,300 locations around the world, but the outlet in Toronto’s east end is the first in Ontario, despite the area containing a large Filipino community. Filipino-Canadians Cedric Paz and Kate Barcena lined up at 5:30 a.m., and were still waiting to get into the restaurant as the lunch hour approached. “The chicken is to die for,” he added. Friends Jen Liwag, Nelsie Mallen and Sherma Villarosa said they arrived even earlier – around 4:30 a.m. – and made it inside in time for lunch. Liwag said the line was well worth it after waiting so long for the chain to arrive. “We waited for what, 10 years?” she said. Mallen agreed. “It feels like home once you get inside,” she said. Jose Minana, JFC Group President for North America, said the company has been trying to come to Toronto for “many years” but waited until it found the right site. The Toronto location is the third Jollibee location in Canada, after two opened in Winnipeg. There are plans for locations in Edmonton and Mississauga, Ont. 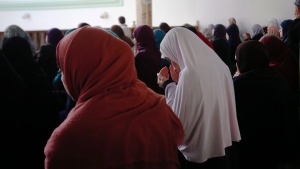 The 2016 Census found that there are 837,130 people of Filipino origin in Canada, with 337,760 in Ontario and 81 per cent of those in the Greater Toronto Area. The company prepared for the grand opening with trailers parked behind the restaurant filled with stock, extra staff flown in from Winnipeg and the U.S., and tents set up for people to wait in line. 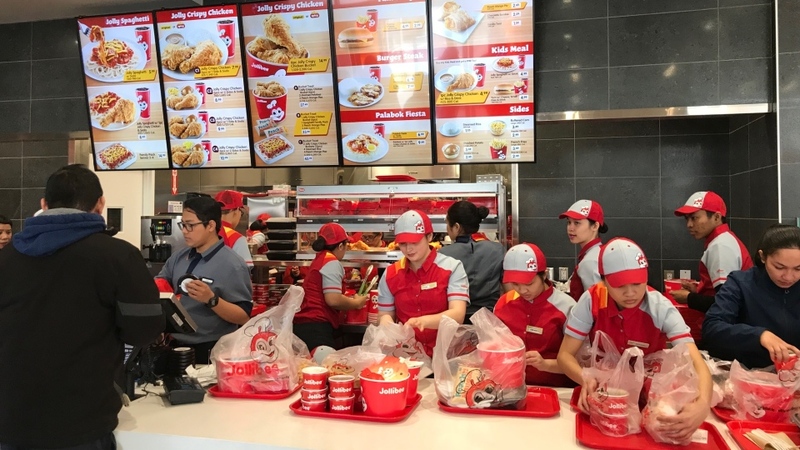 Workers serve customers at Jollibee's Toronto location, on Sunday, April 1, 2018. 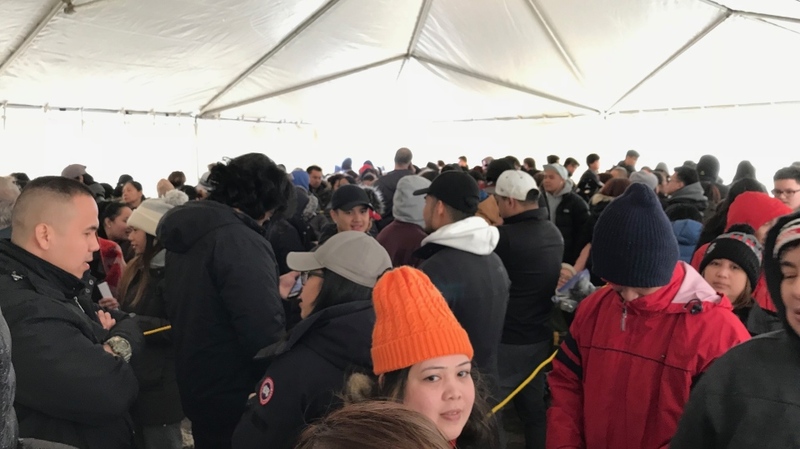 Customers wait in a tent to enter Jollibee's Toronto location, on Sunday, April 1, 2018.